In industrial preparation and processing of substances of extremely diverse types, there are some important factors to consider. The key factors are the quality of the screening material, the choice of screening method and the technology of the screening machine. Allgaier offers a wide range of modern and high-quality classifier machines with a wide range of variants. 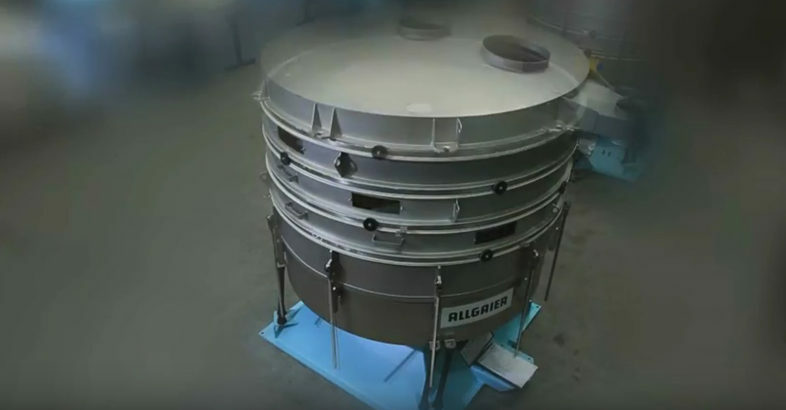 Allgaier machines can operate in the ultrafine powder range with particle sizes of less than one millimeter. Clean and reliable separation of small, heavy, light, dry, dusty, wet and sticky materials can be guaranteed. Allgaier has the appropriate solution for each task. Tumbler screening machines meet the most exacting quality requirements in ultrafine screening. Flat gyratory screens in the wood processing industry offer reliable performance. Mogensen sizers are characterized by robustness and a high throughput rate. Taumelsiebmaschine: Das Allgaier-Taumelsiebsystem bietet optionale Anpassungsmöglichkeiten an höchste Anforderungen und wird weltweit in der Fein- und Feinstsiebung eingesetzt.